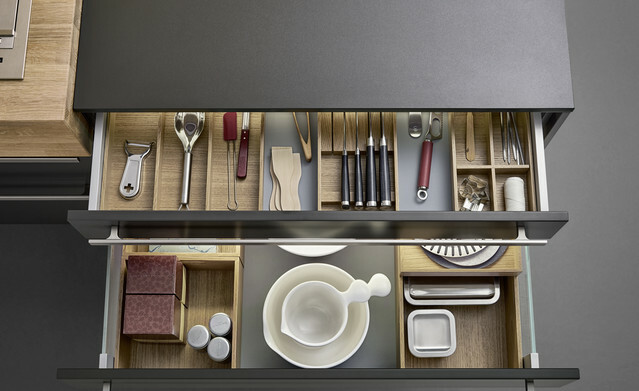 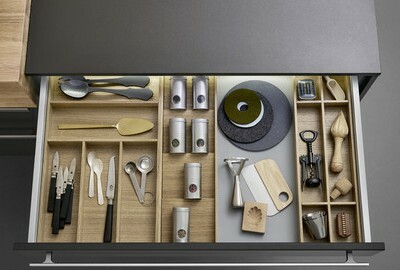 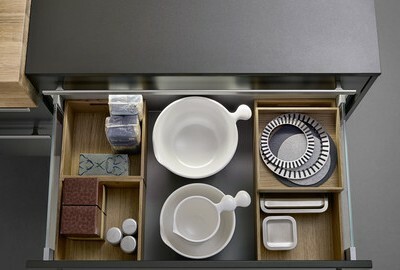 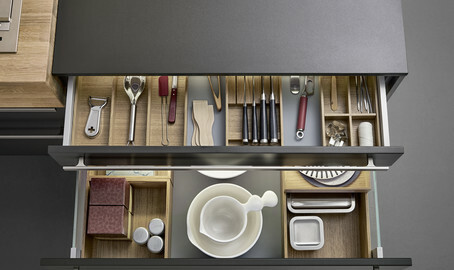 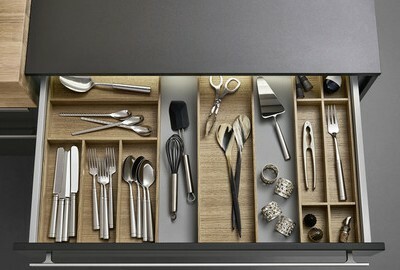 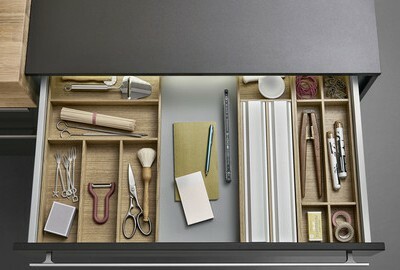 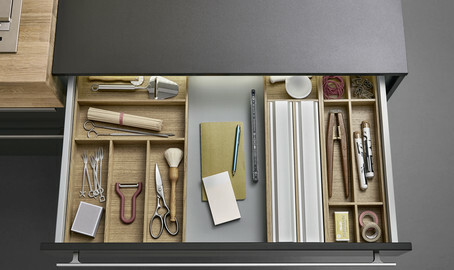 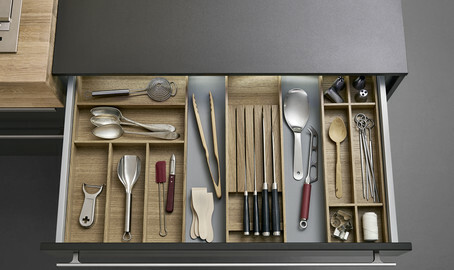 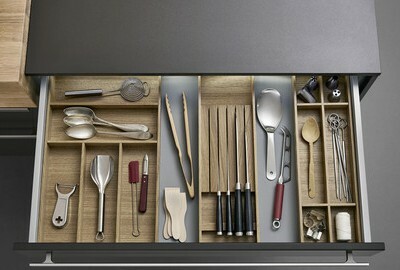 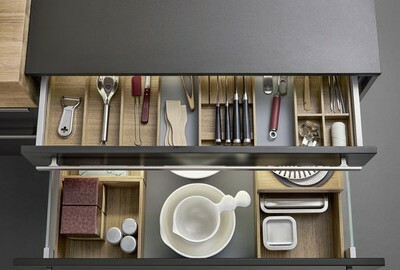 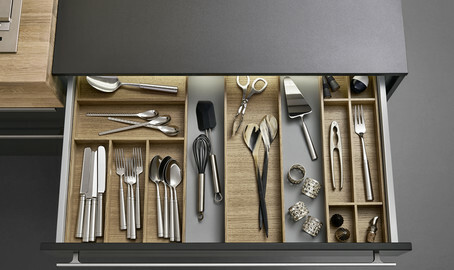 You can design the interiors of drawers and pullouts simply, individually and variably with the L-BOX interior design system. 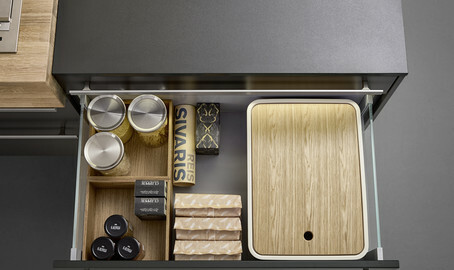 The base of drawers and pullouts offers an easy-care anti-slip surface in the form of a carbon grey mat. 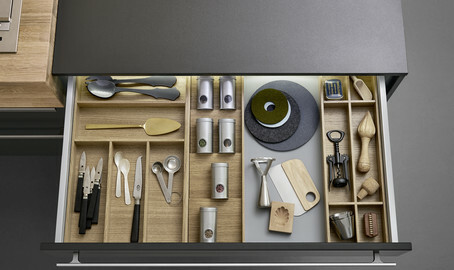 Naturally lacquered oak dividers, knife blocks and boxes of different sizes are positioned on the mat to suit individual requirements. 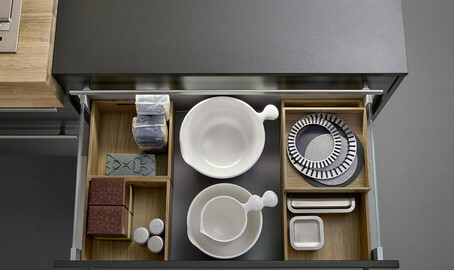 This results in a varied interplay of wood and the neutral grey of the base. 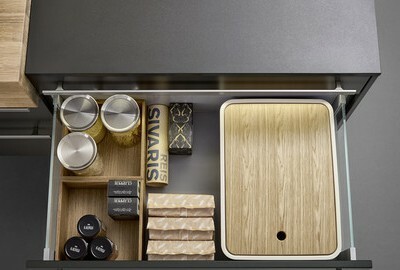 The free space on the anti-slip mat offers additional storage spaces.